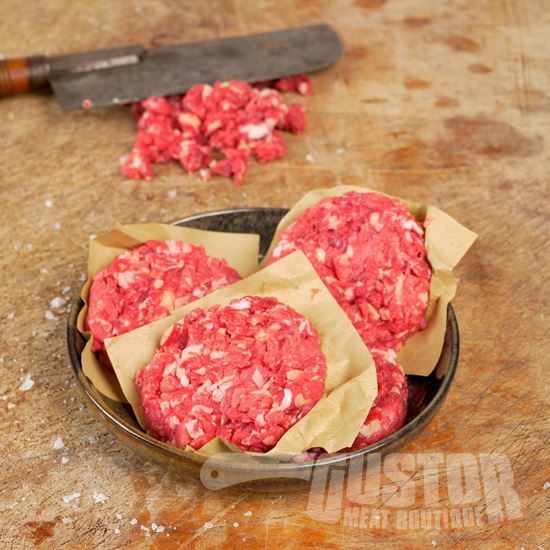 Your chefs at gustor mince these premium burgers by hand from a steak or sirloin from a specific breed. These burgers do NOT contain any spices or additives, just pure 100% meat. These burgers are minced fresh and are then put in a fast freezer. This guarantees premium quality for our customers. If there is a short of stock it may occcur that yuo receive a unfrozen burger which may differ in shape because of the vacuumsealing process.